Today is October 3rd, Germany National Day or Tag der Deutschen Einheit (October3rd, 1990, about one year after the fall of Berlin Wall). 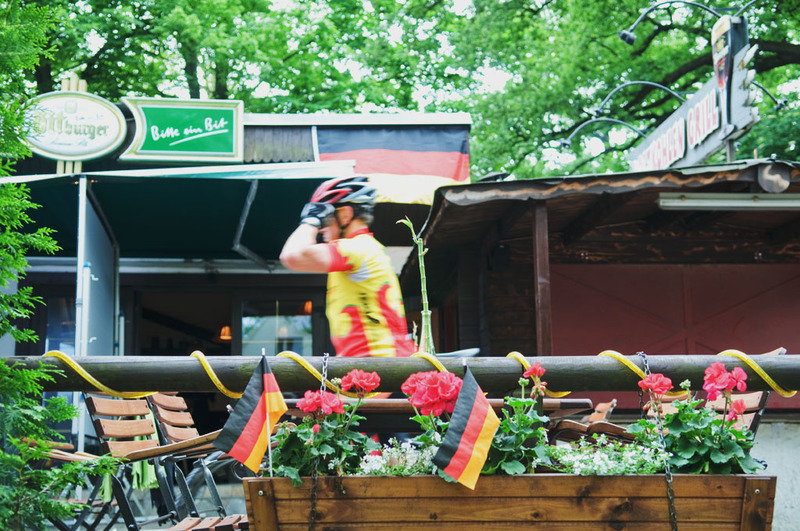 To celebrate the Day of German Unity, I’d like to share here a few images, #tbt images from Germany that I’ve taken over the years. 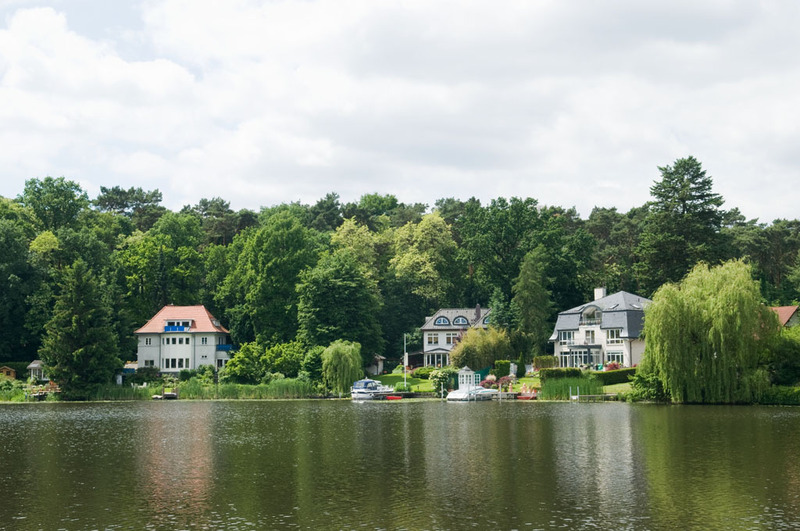 When visiting Germany, don’t visit only the cities, but also the small towns and country side. Flowers in a heartshaped pot. Sylt, Germany. Photo by Alina Oswald. Sylt Groynes (Buhnen), Germany. Photo by Alina Oswald. All Rights Reserved. 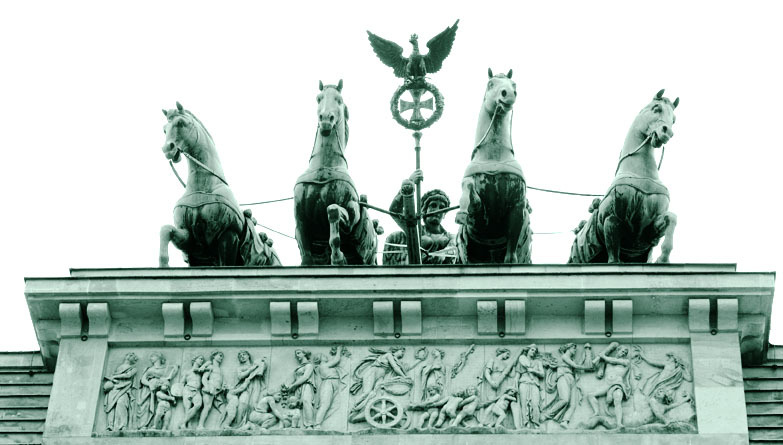 Top of Brandenburg Gate, Front. Berlin, Germany. Seen from East Side. Photo by Alina Oswald. 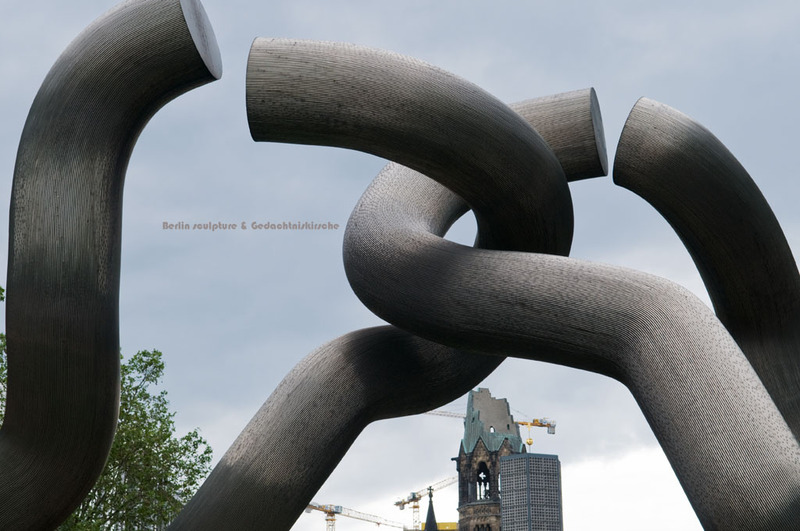 Berlin sculpture was conceived in 1985 by husband-and-wife artist team, Brigitte Matschinsky-Denninghoff and Martin Matschinsky. Unveiled in 1987 in W. Berlin’s Tauentzienstrasse in front of the Kaiser-Wilhelm-Gedächtniskirche heavily bombed during WWII, Berlin was one of the eight sculptures designed during W. Berlin’s Skulpturenboulevard Kurfürstendamm celebrating Berlin’s 750th anniversary. Berlin’s motif, a broken chain, symbolizes the severed connection between W. and E. Berlin caused by the construction of the Berlin Wall. Berlin Sculpture and Kaiser Wilhelm Gedaechtniskirche. Photo by Alina Oswald. 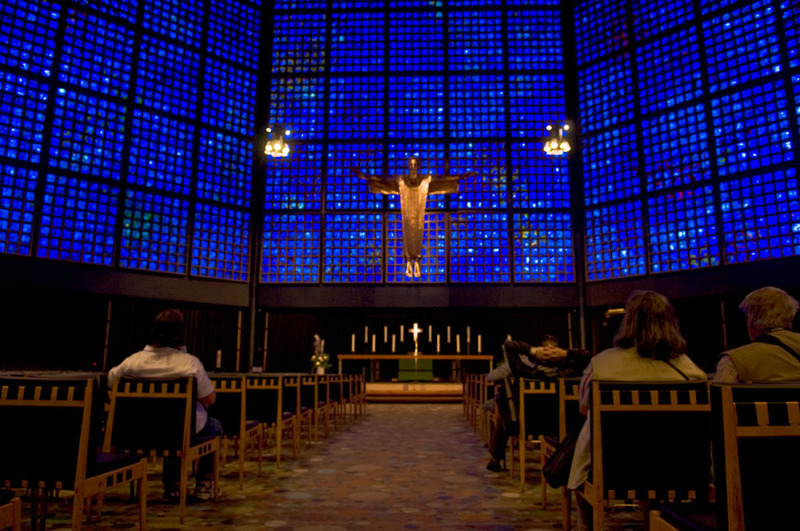 Inside the new Kaiser Wilhelm Gedaechtniskirche. Photo by Alina Oswald. Peacock Island. Seven Seas on Spree River, Berlin, Germany. Photo by Alina Oswald. 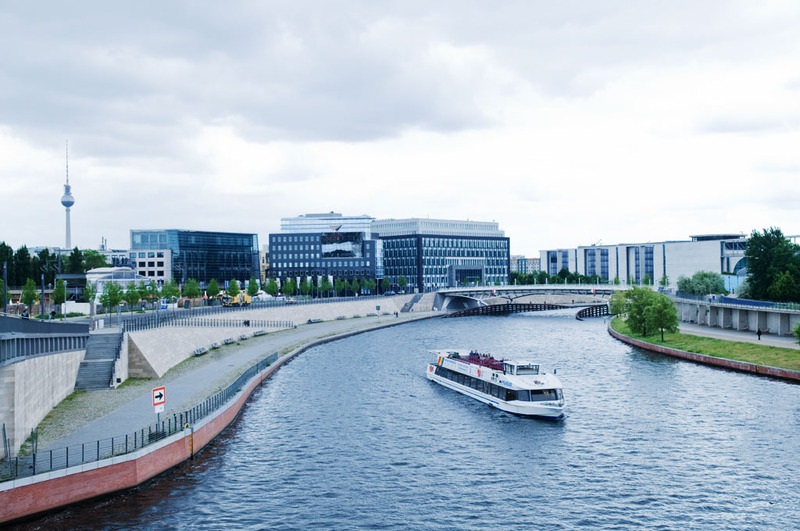 Spree River: Seven Seas or the Hollywood of Europe. Berlin, Germany. Photo by Alina Oswald. 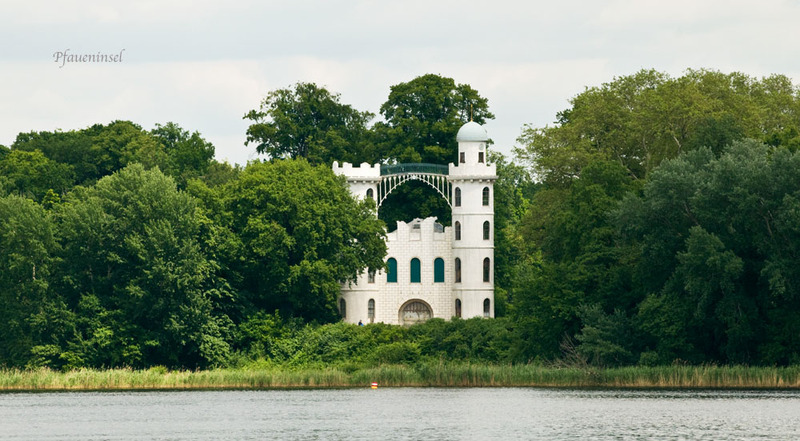 Walk along Spree River and on either side of the West/East mark. Soon, you won’t be able to distinguished the former East Berlin from the West, because, after all, today there’s only one Berlin. Berlin Cityscape: DB train station, TV Tower, and the Spree River. Photo by Alina Oswald. 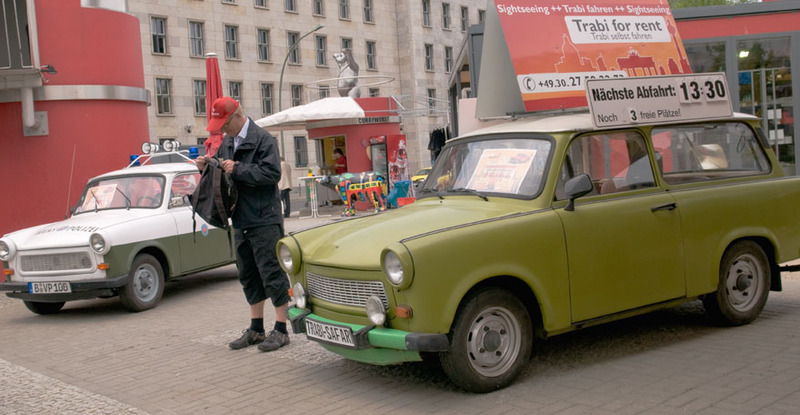 There are many more places to visit and things to do while in Berlin. I plan on visiting again soon. Hello Alina, when you will back again in Germany, I could show you some interesting places in my hometown Munich too.